A very long exposure of 10 minutes records twilight colors and clouds streaking across the sky not visible to the eye at the time of capture. 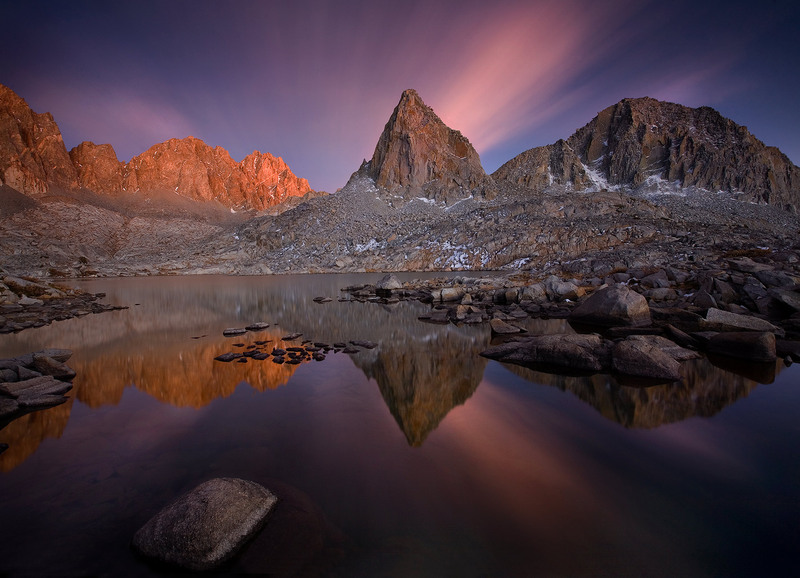 This image was made high in the backcountry of the Sierra range. Photo © copyright by Marc Adamus.